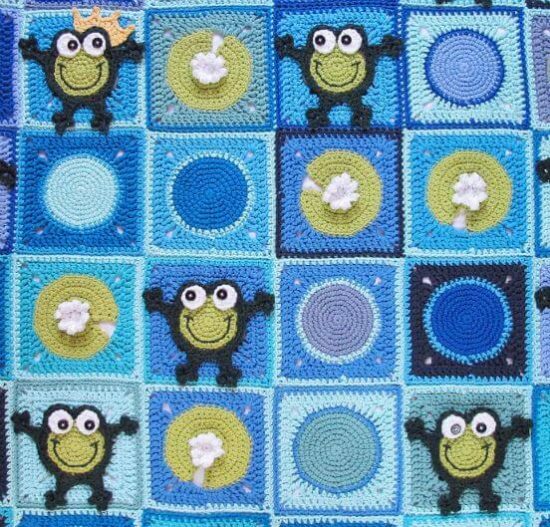 Crochet Frog Pattern Blanket Is Sure To Make Baby Hoppy! 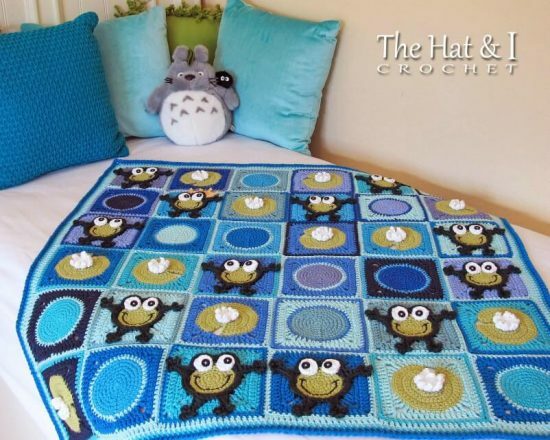 Everyone is loving this adorable Crochet Frog Pattern Blanket and you will too. We couldn’t wait to share this super cute creation and we bet you have someone in mind. It’s always fun to decorate baby’s nursery with adorable things like this gorgeous blanket that is full of cute frogs and lots of colors. This blanket is so much fun to make and you will love the results. The designer behind this amazing Pattern is Marken from The Hat & I and she is behind other popular blankets like the Cat Crochet Blanket and the Owl Crochet Blanket too. This blanket would make a perfect gift for a new baby and is so much fun to change up using different colored yarns. Cute blankets like this one are the reason The Hat & I has been such a huge hit online. She has many other cute patterns too. In fact, if you love this crochet frog pattern blanket, then you’ll probably also love this Crochet Frog Bag from the same shop! Not only do her patterns look amazing, but she has incredible reviews from her customers. This adorable chunky crochet Frog Hood Pattern completely fits the theme! Plus it comes in sizes from toddler to adult! The Hat & I also made this fun frog-themed bag pattern. It would be a great bag to carry your crochet supplies along with you.